THE plant for the holidays! 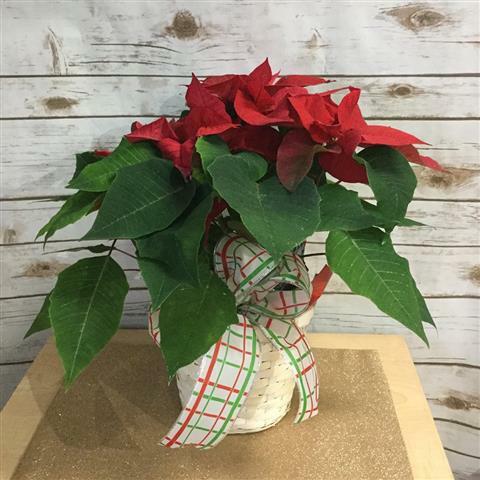 Our RED 6" potted poinsettia's are sure to send the message of Happy Holidays to those you care about. The plants are potted in a basket with seasonal bow. UPGRADES AVAILABLE! PINE CONES, CURLY TING TING, AND FRESH EVERGREENS.